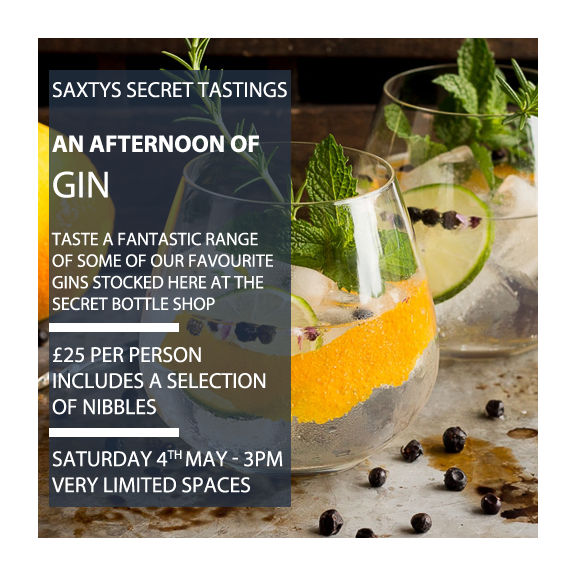 Join us in Saxtys Bar for an afternoon of Gin! Taste a range of Gins that we stock here at the Secret Bottle Shop whilst learning about the flavours and botanicals in them, how they pair with mixers and the history of a G&T! *PLEASE NOTE: There are no physical tickets issued for this tasting. We keep a record in-house so that you don't need to bring anything with you. Further T&Cs can be found on our website.